KIRK CAMERON’S SAVING CHRISTMAS is an engaging story that provides a biblical basis for our time-honored traditions and celebrations, and the inspiration to stand strongly against a culture that wants to trivialize and eliminate the faith elements of this holy season. So take in the splendor; take in the majesty; take in the story. Take it all in… and let’s put Christ back in Christmas! KIRK CAMERON’S SAVING CHRISTMAS is in theaters for a limited engagement beginning November 14 for two weeks only! The movie overall was fun, a little goofy at times and full of great facts to show how many of my thoughts on Christmas were wrong or skewed. The movie is a definite must see and one that will make you take a look at the ways you celebrate and share this Christmas season with your family. Instead of gifts under the tree being a focus on a man in a red suit and spoiling our kids - see it as the beautiful gifts that represent Christ sent to earth as a baby, born for die for our sins as the perfect gift and truly Enjoy this Christmas in a way you never have before! 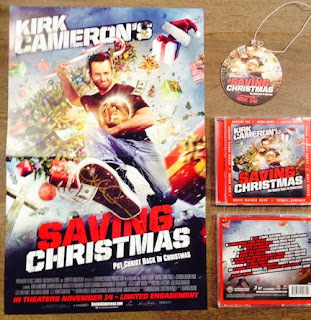 Enter below for a chance to win this amazing gift pack containing A SIGNED Saving Christmas movie poster (by Kirk Cameron), the soundtrack to the film, and a car air freshener (they smell like Christmas trees ) Open to US and CANADA - must be 18 or older to enter/win! Kirk Cameron is bringing a film to life that exposes the reasons we do celebrate Christmas. One character claimed Christ wasn't born on December 25 but actually historians prove that he was born around that date. Great message in the film though. Quite a few of Kirk Cameron's family is in this movie. The trailer is seems cute and I applaud him for being proud of his faith and sharing with us. We celebrate in the name of the Lord. Kirk Cameron exposes the reasons we all celebrate Christmas. 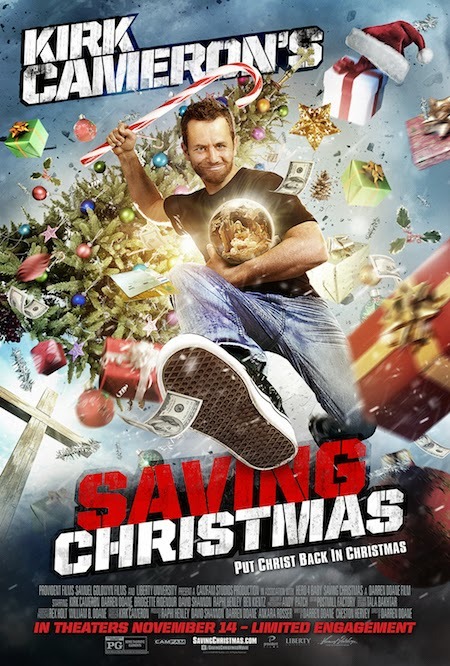 I really like that the movie wants to really show the true reason for Christmas, we forget sometimes what its really about!